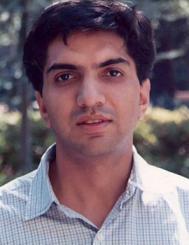 Aprajit Mahajan is an Associate Professor in the Department of Agricultural and Resource Economics at UC Berkeley. Mahajan’s research interests are in development and econometrics with a regional focus on India. Ongoing research includes field-experiments on management practices in large firms and the provision of health-improving technologies in rural India.